The UK drugmaker has launched its defence against Pfizer’s $106 bln approach by detailing a portfolio with a potential 73 pct of added sales by 2023. It sounds more like an inventory waiting to be valued than an argument for independence. The chances of a deal have barely fallen. 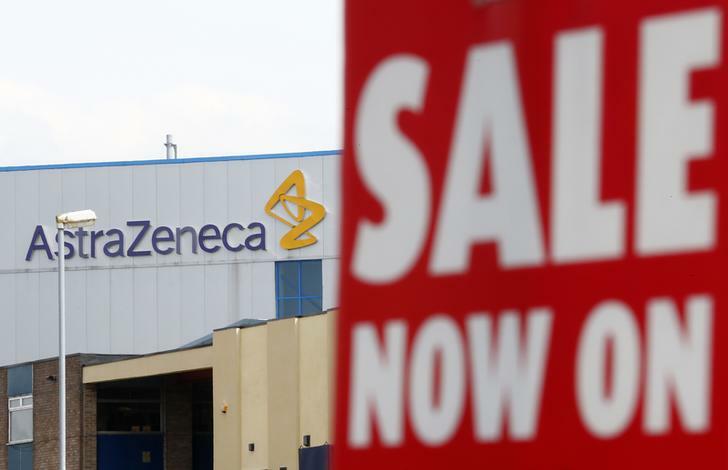 A sale sign hangs near an AstraZeneca site in Macclesfield, central England April 28, 2014. AstraZeneca laid out its defence against Pfizer’s $106 billion takeover approach on May 6 by predicting its sales would rise by three-quarters over the next decade, although only after a short-term drop.